The official ABBA website today announced the availability of a strictly limited edition ABBA single. 500 of the a collector’s item “crispy vinyl” 7″ single Happy New Year backed with The Way Old Friends Do was advertised and sold out almost immediately. The actual release and shipping date is 30 November. The Official ABBA Fan Club was also offering the single for sale today. But again, all copies were snapped up! There is obviously still an appetite for ABBA limited edition releases on vinyl such as this. Let’s hope that if there are any further limited editions made available, that they perhaps aren’t quite so limited! Did you manage to pre-order one? Yes, I managed to order this single. What a surprising and exciting release! I’m a little surprised, considering the release was limited to only 500 worldwide, that they allowed a limit of 5 copies per customer. I’m sure some fans bought multiple copies for friends who couldn’t get online, but I suspect there will be a lot of profiteering going on from people who want to make money on eBay at the expense of genuine fans who just weren’t online at the right time, or still don’t even know about it. It all seems a little unfair to me. I managed to order a copy through the Fan Club. I think 500 pressings is too little and they should’ve produced a larger amount. 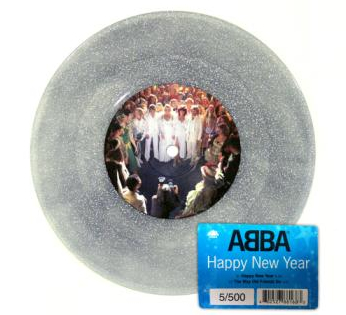 Can’t wait to get it I love collecting ABBA on vinyl. What was the price of this? I noticed last weekend the ABBAsite page was down all weekend.Normally it then re-appears with thanks from Frida over her birthday messages but this time it was the single offer. It will appear on ebay at some highly inflated prices but this is the sort of thing the fan club should send out to real ABBA fans/members as a thank you from ABBA and Universal.Lets face ,in real terms we the fans pay their wages/salary…. 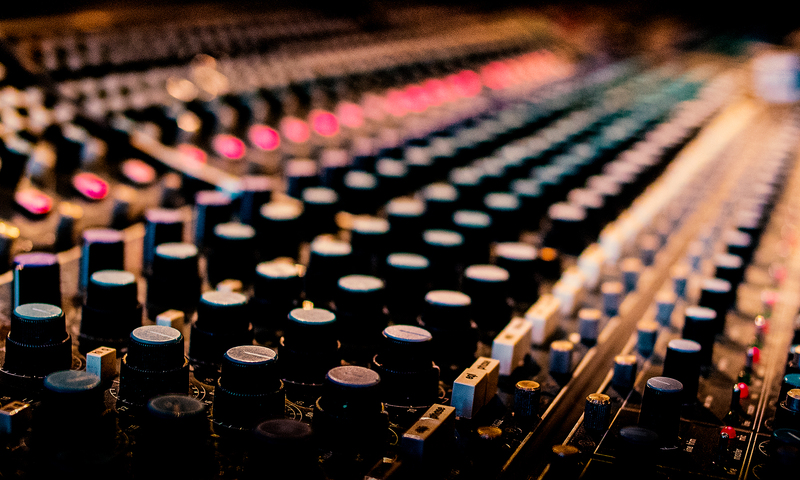 or a 12″ of Take a chance on me/On and on and on- the extended unreleased tretow remixes would be nicer. It should have been sold only by the fan club to members and limited to one per person. That would have given every fan club member an even chance to own a copy, ensure they only went to genuine Abba fans for their collection and avoid some making a killing on ebay. After all who would need to buy 5 copies for themselves. For me this is the most stupid action with Abba stuff. They treat us like dogs begging for a bone. Don’t they know most of us are adult persons doing our jobs and not having 24/7 time to look after Abba items?! I’m very curious whose insane idea it was to permit ordering 5 copies per person??? And please don’t tell us that every member had chance to order thanks to your email! NO!!! Because many of us were at work and not all of us are sitting at notebooks all day long. For me it’s the highest time to jump out from this cursed community. No more manipulations! Time to clear my eyes. How long the next limited, strictly limited, special, deluxe etc. etc. editions will fool the people??? Never ending story, isn’t it? But of course – money money money must be funny in the rich man’s world. But no longer with my participation. So long Abba “familly”! I’m sure it’s a pretty lucky item to have as well , just a shame they sold out. STILL GUTTED I never got one. If they allowed a maximum of 5 per customer and they bought 5 that would mean only 100 people got the chance of this! I’ve been collecting for over 30 years and think it should have been offered to the fan club first with only one copy allowed per person! After that, then maybe TRUE fans and NOT profit makers would have had half a chance. 500 copies for THOUSANDS of ABBA fans RIDICULOUS !! Nope didn’t get a copy, was away on hols and didn’t even know it was getting released! GUTTED!!!!!!!! It reallly is time that ABBA gave the Fans something new. said that ‘Happy New Year’ was the ‘A’ Side. Now, we see 500 copies of ‘Happy New Year’ released on 7″ Vinyl. ‘Gold’, to ‘celebrate’ this or that ABBA Anniversary. Only as I went into the Bergans Swedish Music Retailer website immediately I saw the email in my inbox. It cost me about £20 inc postage from Sweden. This is unbelieveable. I am absolutely fuming. I ordered my copy within 3 hours of the email being sent out and was in heaven to see they had accepted my order, confirmed it, and I checked with my credit card company who had confirmed payment had been taken. Only my happiness was to be short lived as a few days later I received an email to say my order had been cancelled as they had SOLD OUT. WHAT! How can they do that. How can they make me believe that I had a copy only to disappoint me later. That is worse than discovering the item for sale after it had sold out. The website should NEVER have let me order this and take my money if it had sold out. So angry, so very very angry. I replied to the email suggesting they reduced the quantity to those who had order multiple copies in order to provide more people with copies. But I have not recieved not reply. If I see even just one copy on ebay for a stupid price, I am going to self combust with anger. I really don’t know what to think, and I must say I’m getting a bit nervous, as I managed to order a copy (and they didn’t cancel it), but I haven’t had any dispatch confirmation from Bengans/Abbasite so far, considering the launch was supposedly today… let’s see what happens tomorrow. Me again. Thank God Bengans replied me back they sent out the package last tuesday, as after reading what happened with Janet, I was really worried for a possible “mega-delayed” cancellation email. Pleased to say mine arrived today. Was getting worried as I didn’t get an e-mail saying it had dispatched. Very relieved! Wow ive just had to send this i got a pm on facebook asking if i wanted to buy one YES PLEASE there are some good Samaritans left in the world its made my Christmas just waiting for a reply now i will let everyone know when i receive it I FEEL LIKE A KID AT CHRISTMAS !! People, look what is happening on ebay. One man or woman – his/her nick is julianpage – sells one copy after another as “Buy it now” (nr 36 and 37). Firs went for 200GBP and the second one is just for 300! If he/she ordered 5 copies the next one will probably reach 500 or 1000. And it will happen thanks to us. Is it really what Universal intented to do releasing this single? Do the true devoted fans really mean anything for them them? Do they really appreciate a colaboration with Official Abba Fanclub? I have more and more doubtings. I see this situation is rather against the TRUE FANS especially those who are devoted fanclub members for a very long time and who are not always very rich persons. It is really very very unkind. And please don’t tell me that bussiness is bussiness. There should be some loyality frames. I also have missed a copy and I have enough money to “buy it now” for even 1000. But rules are more important to me and such “julianpage”s or others won’t get even a penny from me. People let’s wake up. At this time there are just 6 copies available on ebay. So we know that just 6 loyal and faithful fans couldn’t enjoy the single. I have swared myself I will count all ebay sellers and keep their nicks. Please don’t be sad and don’t be begging. In some cases fans shoul show more solidarity. Well as I said I would a few days ago, I have just self combusted with anger after what Piotr has just told me. I have seen it for myself. COPIES currently AT £165, £205, £185, £194, £200, £30, £300 and £151. How is this fair to us Abba fans. It is not is it? I could deal with not getting a copy if all 500 were sold through the fan club to one per member only as at least they would have all gone to fans on a first come first serve basis – as fair as can be. But to see all these copies on ebay at these prices just goes to show that many did not go to true Abba fans but those just out to make a big fat profit at the expense of life long Abba fans. And lets face it the only people prepared to pay those prices will be devoted Abba fans who were desperate for a copy. I think everyone who didn’t get a copy should write to Gorel directly or via the fan club and complain (the complaint is not with the fan club but Abba the site for selling 5 copies). Surely Abba themselves would not have wanted all these upset and disappointed Abba fans either. Unless they had no say in what was produced. We should all complain to ensure things like this dont happen again. They can easily restrict this kind of thing to fan club members and still sell out. And all I have to say to those foolish enough to pay those ridiculous prices is that you are playing into their hands and encouraging the sort of thing, and you are the one that has to pay more at the end of the day. I will not be participating. Finally to add insult to injury when they took my order and my money and then cancelled it the exchange rate had changed and so I didn’t get the full amount back on my credit card Unbelievable, absolutely unbelievable. If nothing else the opportunity to have a good moan about this whole fiasco on this website has made me feel a teeny-weeny bit better. But it still makes me so very cross. Janet they took my order and my money and then cancelled it the exchange rate had changed and so I didn’t get the full amount back on my credit card Unbelievable, absolutely unbelievable. THEY DID THE SAME TO ME !! just think how much money they made in cancelling ! Just looking again on ebay. Seller “selekterdisc” with no shame and extremly cold-calculated announces that from him 3 singles are available. No comments. after cooling down, the prices will fall again. It’s only the over hysterical sort of Abba fans who make prices around 300 Euros for this single possible! After all, it’s still one of the most useless, pointless special releases of all time thanks to Universal. A 30th anniversary special edition of The Visitors in broun/golden/red sprinkled vinyl to commemorate 30 years of THE VISITORS… THIS would have been an appropriate Vinyl re-edition, wouldn’t it?? In comparison to other acts, ABBA special releases were mostly not very exciting and apart from the UK simply not existant. Although Germany was always one of ABBAs strongest markets we NEVER got any special releases: No Super Trouper Box, no The Singles Picture Disc Box, No Our Last Summer Pic Disc, no other picture discs, coloured vinyl (The lavish UK blue vinyl singles collection: in Germany only the regular pressed vinyl singles in the box…), special “The Winner Takes It All” Maxi gatefold version, The Album gatefold version, etc NOTHING at all. P.S. I have invested 30 Euros in the 2 “Florence + The Machines” CDs: My best investment in the last few months!!! I just think if people keep buying stuff like this that has already been released, Universal has very little reason to release anything new. I didnt even consider buying this. Why? Another song released how many times just in another form and called a special limited edition. I have Happy New Year on the 1992, 1997, 2001 and deluxe edition of Super Trouper, the 1999 cd single, the original 1980 vinyl single and the original 1980 vinyl copy of Super Trouper. Do I really have to buy the song again? Im a huge ABBA fan and spent a whole lot of money on everything ABBA I could lay my hands on. But I have to draw the line somewhere. I feel like I am paying over and over again for something I already have. I have decided I will only buy something if theres something on it I dont already have. Graeme you must have been as devastated as me. I wonder how many other people missed out because of greedy profiteers who bought 5 to sell on ebay. Should not have been allowed. This was so cruel to us Abba fans. We could have happily been owning our copies by now if it was not for them. Sorry me again (still bleeting on). There are at least 9 on ebay now. I am going to write to Gorel over Christmas when I get time to ask her if there is anything she can do to stop this happpening again i.e can she get universal to just sell this kind of thing though the fan club in future, because this is cruel. Very cruel. What a foolish release … Universal is thinking we are all Dogs and hungry for any Glums of ABBA .. what fools they are, Big fools ! Abba is over already forever over ! Why still want o make a buzz about it ? For What ? For what anger ? Very foolish way of kind of this single, make the real fans just angry and upset. Pointless to buy such rubbish !!!!! !